Brie is a wonderful girl who gets along with all shapes and sizes of dogs. She is very playful so it would be great for her to have an active owner or to be with someone who has another young and playful dog. She is well mannered and will naturally follow you around. 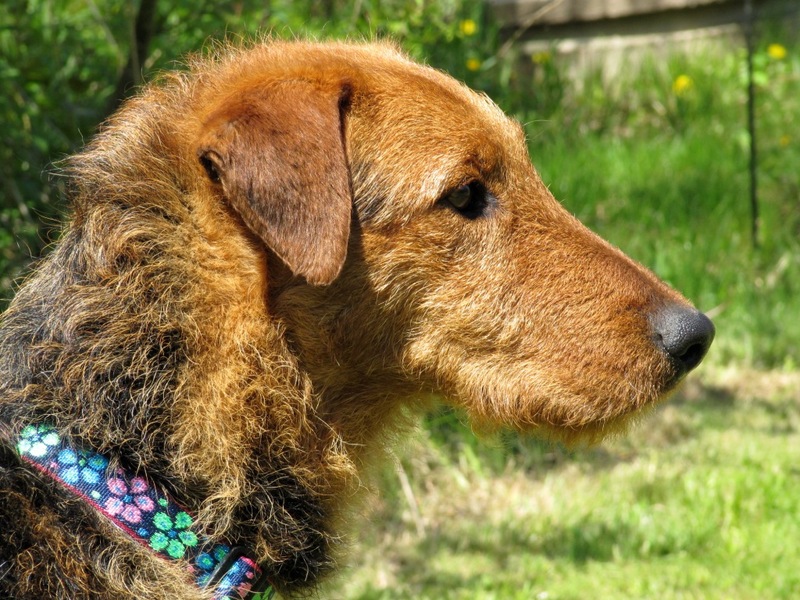 She loves to be bathed and brushed and is always happy, friendly and a joy to have around. She does like to jump up on people and she pulls on leash but training will curb this activity. A fenced yard is a must for this lovely active girl. 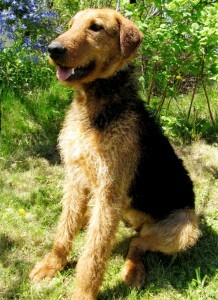 This Airedale loves her food and treats so training will not be a problem. 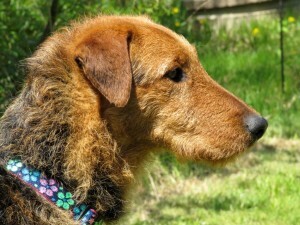 She would do really well in obedience classes and obedience lessons will be a condition of adoption. Brie is intact and will be spayed prior to adoption.